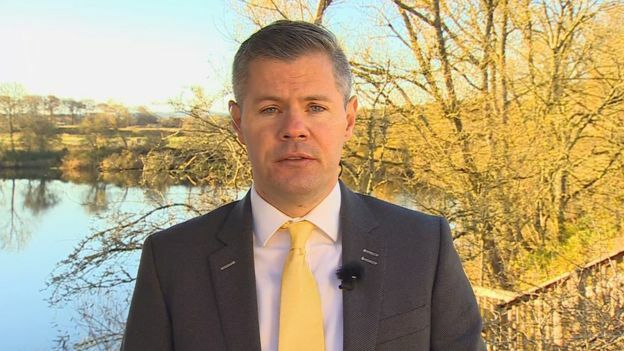 The health service will soon account for half of Scottish government spending, according to a new analysis of choices facing finance secretary Derek Mackay. The growing squeeze on many other services is set out today by economists at the Fraser of Allander Institute. It leads to their call for "an urgent debate on future priorities". One of the politically challenging suggestions they put forward is for the introduction of student tuition fees. They also welcome growing political pressure for sweeping reforms of council tax. The report, from the Strathclyde University economics unit, applies the consequences of last month's Westminster budget for the block grant for Holyrood. That is the starting point for options facing Scottish ministers as they prepare to publish their draft budget for 2019-20, on 12 December. The UK Chancellor, Phillip Hammond, loosened public spending constraints more than many had expected, partly to help boost the economy through the uncertainties of Brexit. The resulting effect on the Holyrood block grant for next year means Mr Mackay can pass on a similar lift for NHS spending, as he has said he will. The Fraser of Allander report suggests that could be 2.7% per year until 2021-22. That would push health spending to 50% of Holyrood's budget, having been 41% at the start of this decade. 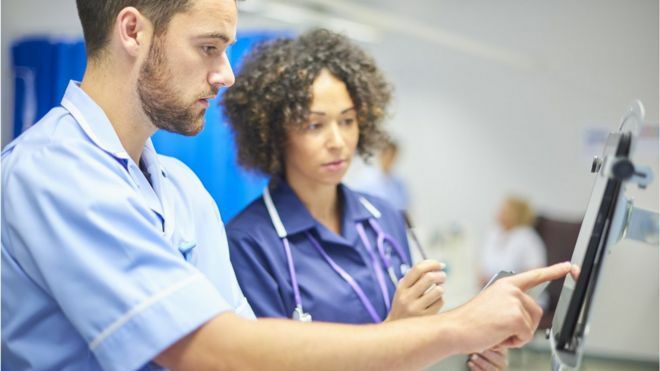 However, the report points to pressures for spending increases on health and social care that could require a 3.5% annual increase each year, if public health measures fail to cut back the growth in demand for health services. The less constrained budget means Mr Mackay can also protect the SNP priorities of police, childcare, universities and welfare. But the Fraser of Allander economists reckon that would mean a 4% squeeze on non-priority areas, such as councils, by the 2021 election. It notes that budgets are projected to rise up to 2021, but that even then, the impact of a decade of squeezed public spending is a cut of about 7% per head. That picture could be altered by the amount of Scottish income tax revenue, which last year came in below expectations. Mr Mackay could again reject calls to mirror Westminster's tax cut for higher earners, while again redistributing the tax burden. Today's report on budget options is positive about the growing political pressure for sweeping reform of council tax, to remove its unfairness. It says there are options for taxes on tourists, workplace parking or vacant land, though they would not raise significant revenue. It goes on to highlight what it calls "a strong case for reform of council tax," saying "political momentum for reform appears to be growing, and the enthusiasm for reform held by the Scottish Green Party - who have supported the minority government's budget proposals in the last two years - will push this issue further up the agenda". One option could be a repeated change to the ratios between council bands, having implemented one in 2017. That could raise just over £100m next year, and make bills less unfair, "but it would not address the underlying weaknesses with council tax". If Mr Mackay were to add a penny on the basic, intermediate or higher rates of income tax, as he did last year, he could raise about £170m, £130m or £60m respectively. To raise the threshold at which higher earners start paying higher rate tax, from £43,400 to £50,000, is calculated to reduce revenue by £280m. To illustrate ways that ministers could address long-term spending pressures, the Strathclyde economists model a £7,000 annual tuition fee for Scottish students, backed by loans, saying that could eventually save the Scottish government £800m per year. The report says "further tweaks to income tax are possible, but the government will, in time, need to consider a wider range of options to raise revenue and/or take a more strategic look at areas of the public sector where cutbacks will have to be made, no matter how politically challenging". David Eiser, lead author of the report, commented: "Over time, such incremental changes to spending priorities are amounting to a substantial change in the distribution of the Scottish budget. "in the last two Scottish budgets, the finance secretary raised money from income tax. These changes have been progressive, but opened up a tax differential with the rest of the UK that is increasingly visible for Scotland's 14% highest income taxpayers. "The finance secretary does have other options to raise revenue, but may need to consider other ideas over the longer terms," he added. "Austerity may be ending, but the Scottish government will still face challenging decisions on revenue raising and the distribution of expenditure."